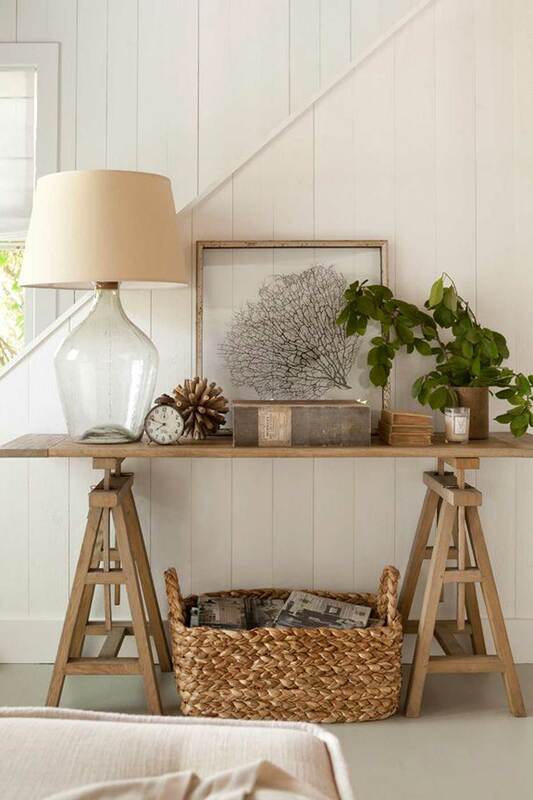 Relive the memories of summer by bringing the look and feel of a coastal escape into your home. 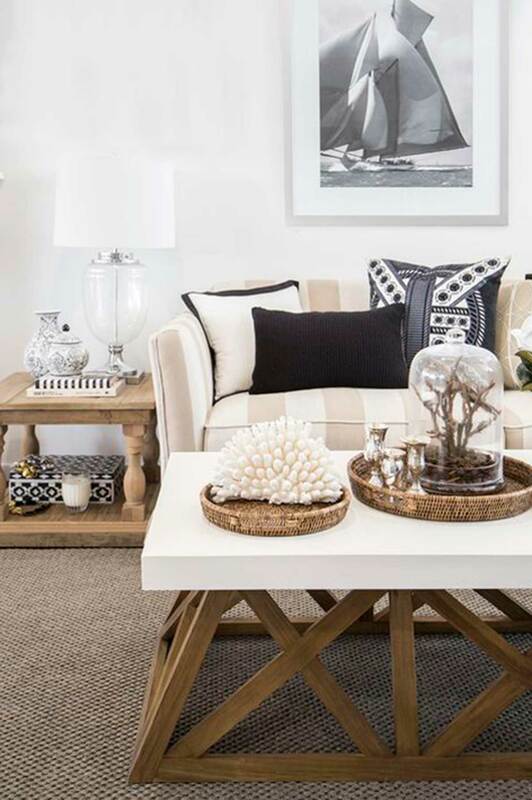 A home seaside style creates a calm and relaxed atmosphere. It will remind you of the days laying on the beach or in a hammock, soaking up the summer sun. The best part is, coastal styles are always on trend with home interior styles no matter what season. Start creating your seaside escape with the following ideas. 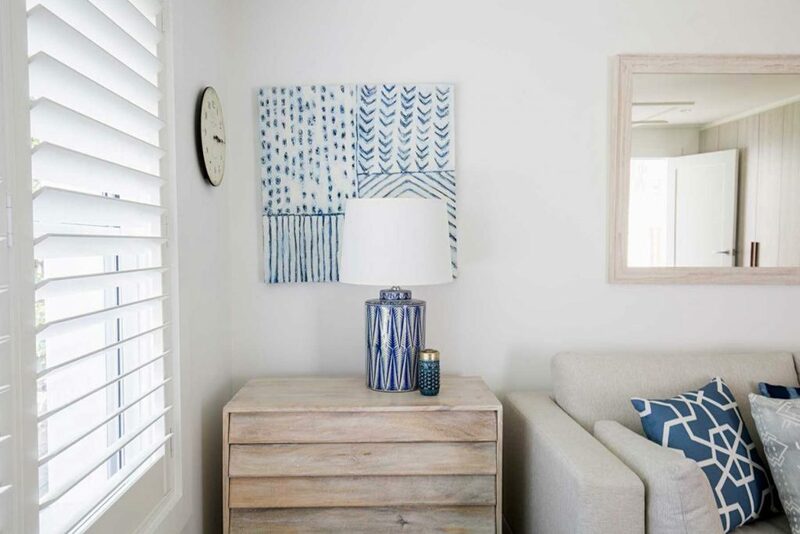 Natural textiles are the easiest way to create a seaside vibe in your home. 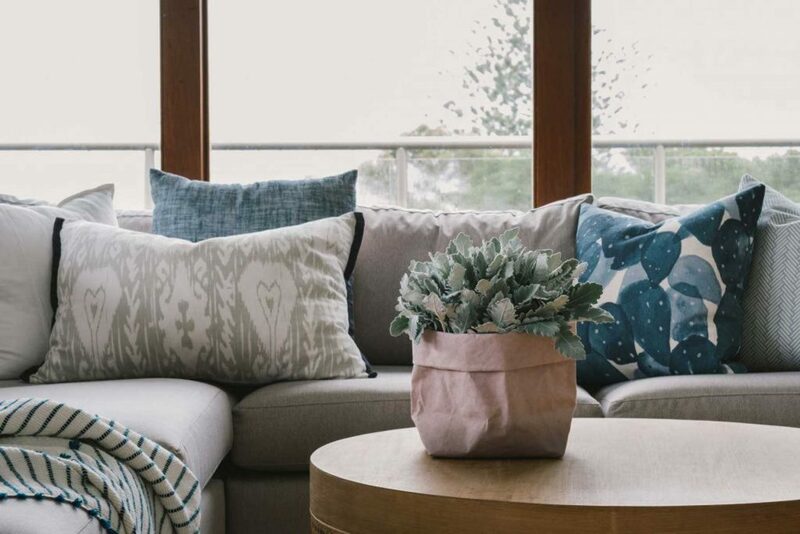 They not only provide a relaxing atmosphere but make the home feel cosy and warm, like these cushions from Coastal Living. Natural materials include: canvas, rattan, cotton, distressed wood, coral, stone and timber. Cane and wicker are great for replacing those boring old light bulbs. Or try artworks that have the same effect, such as our seawood artwork. You don’t need to spend a fortune either. Your old timber furniture can be refreshed with a cerused finish. This enriches the grain of the timber, using a pigment grain filler, which can also be tinted to make your old furniture match your new style. White and green foliage go together like peanut butter and jelly. Plants are the perfect addition to the creating a home seaside style. 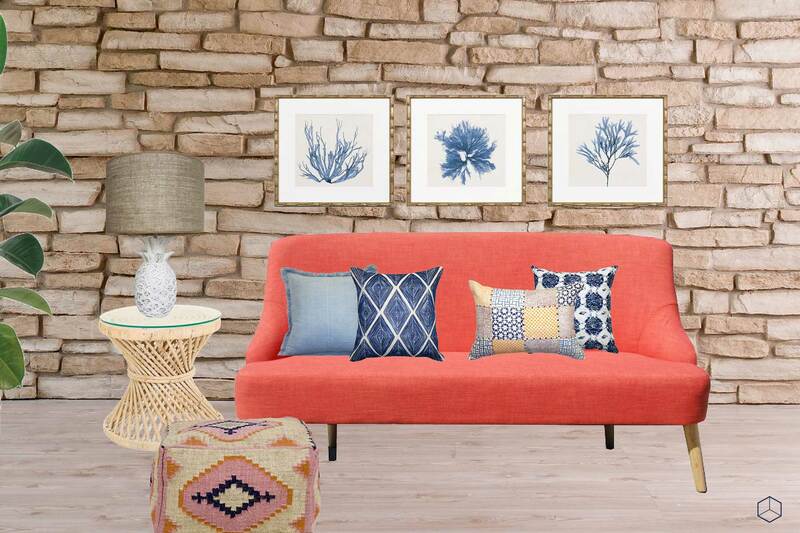 They can brighten up any space and bring life and colour into small living room designs. 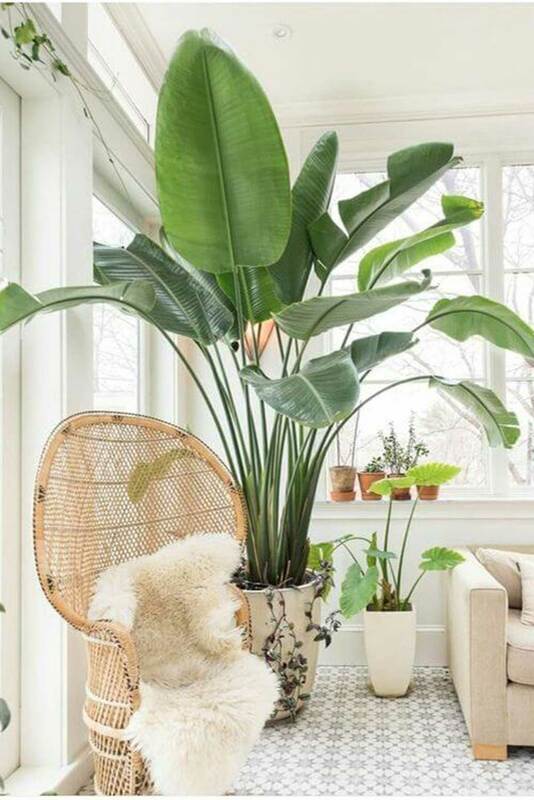 Potted plants such as palms, magnolias and white hydrangeas and cactuses can be the highlight of the room (and they are easy to keep alive). Alternately, you can opt for fake leave arrangements and no one will ever know. Try monstera leaves or palm leaves to complement coral and timber accessories and furniture. Perch your smaller plants on a floating timber shelf. Wall hangings are the new craze and can match just about any interior style. Apart from looking amazing, they create a cosy feel in the room. 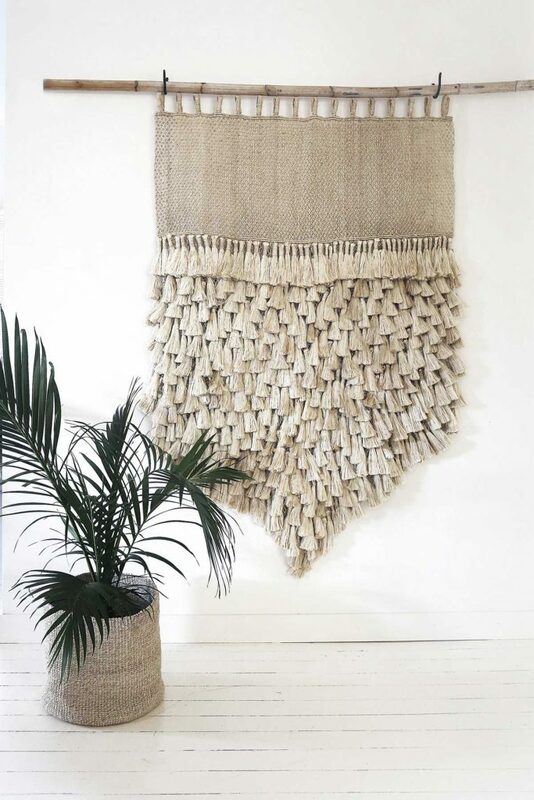 Sticking with the motif of natural materials, wall hangings are made from feathers, rope, cotton and fabrics. We offer a subtle pink unique wall hanging, that is perfect for a coastal home. 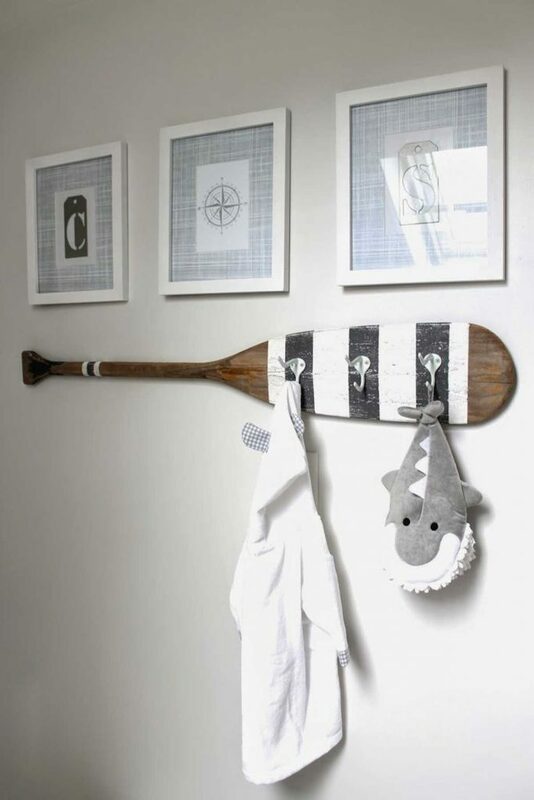 Wooden oars are also a great idea for wall features as they stick with the coastal theme but can be personalised with some painting. Retro prints bring back the good old days when surfboards were simply a plank of timber. 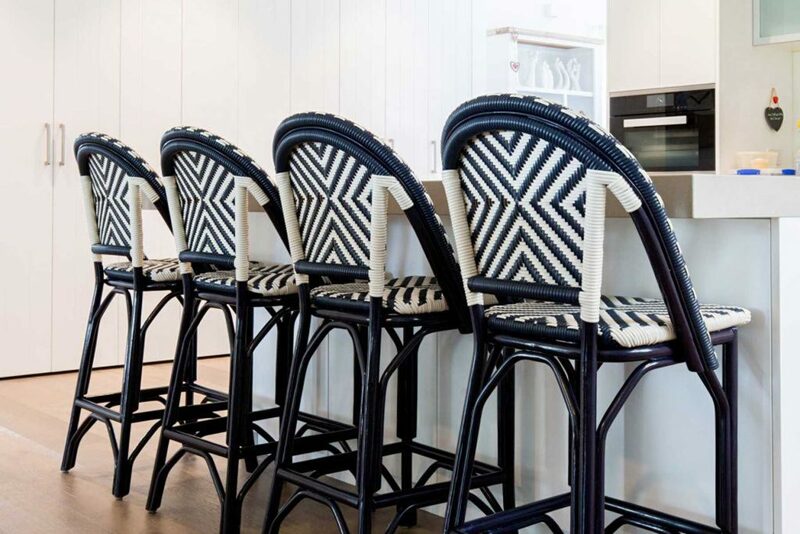 Black and white prints mix well with coastal colours such as teal, white, brown and navy. Try creating a arrangement of retro photos, vintage posters and coastal ornaments to make a feature piece in the room. 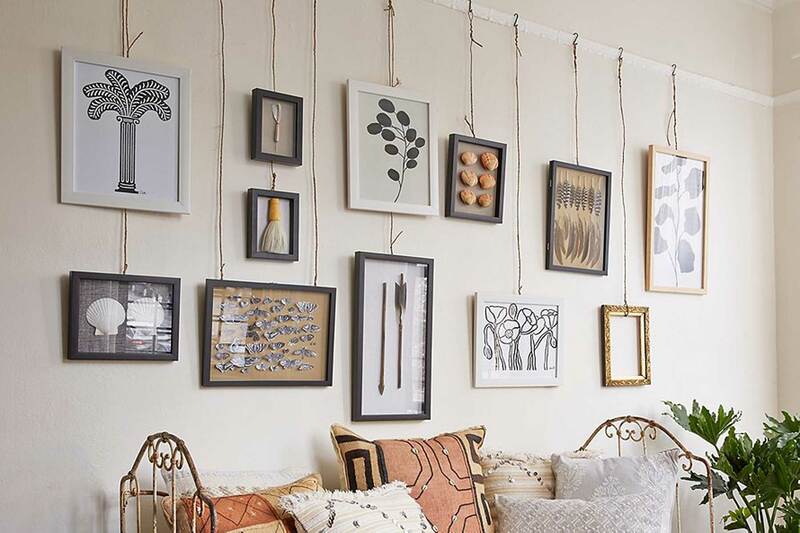 If you want to hang photos yet still keep with the seaside theme, get creative and use rope to dangle your most cherished memories. Let’s go back to cerused finishes for timber. By tinting the pigment filler you can create brand new items of furniture that catch the eye. Try a teal colour for your coffee table and style it with a matching coastal print. 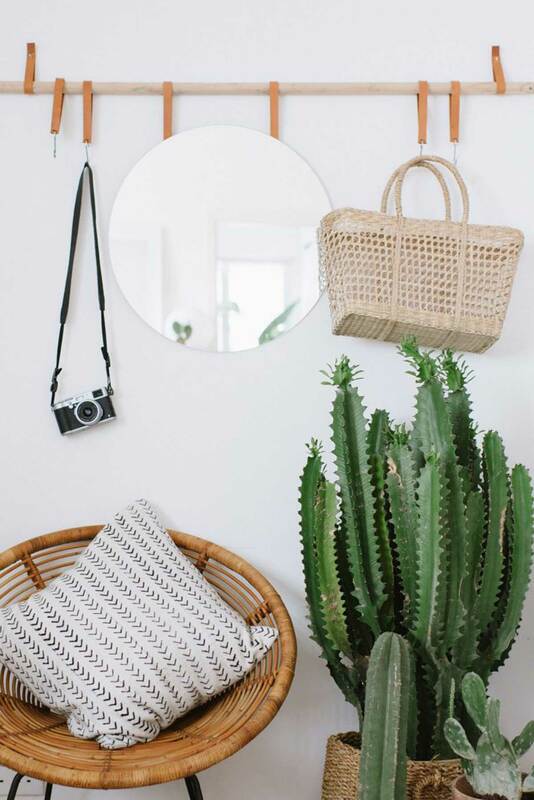 You can also use hanging chairs with natural cushions, to create a statement and style it with large plants and wall hangings to create a secretive corner getaway. Surfboards can also be unique features and can personalised to suit your style. They can also be mounted on the wall to make a great shelf. Match these ideas with funky mirrors that make the room feel larger and it’ll make interior decorating a breeze. 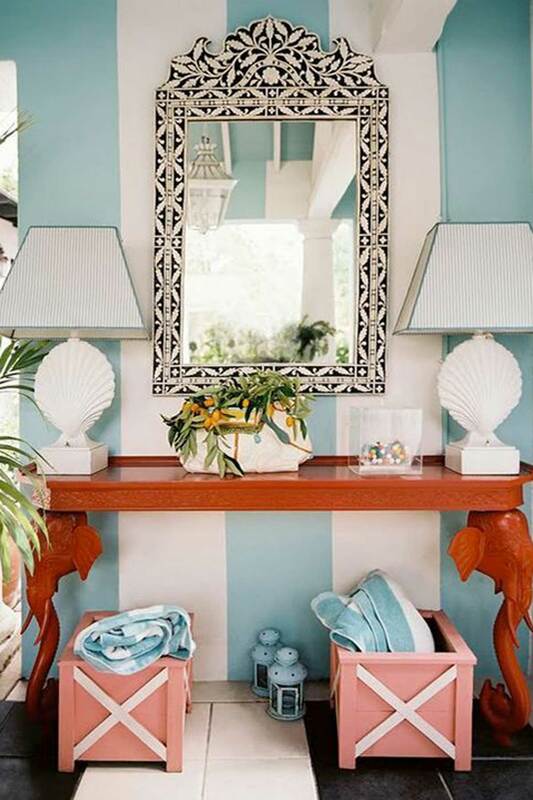 For more style boards, tips, tricks and help in creating a home seaside style, we are here to help!